Porcupine Tree is a British rock band formed in Hemel Hempstead, Hertfordshire, United Kingdom in 1987. During the course of the band's history, it has at times incorporated psychedelic rock, alternative, ambient, electronic, and, most recently, metal and post-rock into its unique style of progressive rock. Porcupine Tree started out as a "fake" band, the only real member being multi-instrumentalist Steven Wilson. Porcupine Tree started out as a "fake" band, the only real member being multi-instrumentalist Steven Wilson. Wilson's first two releases, Tarquin's Seaweed Farm (1989) and The Nostalgia Factory (1990), were both released on cassette tapes. In addition to the band's trademark psychedelic sound, these two tapes also contained heavy ambient and pop influences. Wilson's favorite tracks were then compiled into the CD On the Sunday of Life... (1991), while the more ambient-leaning tracks were also collected in Yellow Hedgerow Dreamscape (1994). The first of these two featured many new versions of songs. Wilson then went on to release Voyage 34 (1992) and Up the Downstair (1993), which refined the sound of the previous albums and removed the pop influences. Both of these were later re-released, the first as Voyage 34: The Complete Trip (2000), which included an extra two remixes (a total of four), while Up the Downstair was remastered at 2005 with real drums added in place of the drum-machine beats. The Sky Moves Sideways (1995), often considered the band's best album by long-time fans, largely uses the spacey nature of previous albums. By the time of Signify (1996) Wilson had a full band at his disposal: Chris Maitland (drums), Colin Edwin (bass), and Richard Barbieri, formerly of Japan, on keyboards. The band's next two albums, Stupid Dream (1999) and Lightbulb Sun (2000), saw them take on a more alternative rock-oriented sound, while still drawing influence from as far back as Up the Downstair. During this period, the band garnered increasing recognition, both in their home country and abroad. Finally, they were signed to Lava Records (a major American record label) in time for the release of In Absentia, with Gavin Harrison replacing Chris Maitland on drums. This album shows high metal influences, due in part to Wilson's work with Opeth on their album Blackwater Park. The band continued this sound for their 2005 release, Deadwing, which has the heaviest and most noticable metal influences. In April 2007, the band released their album Fear of a Blank Planet. an album clearly influenced by the post-rock genre, but also sees them expanding the metal side of their music, yet still remaining true to older facets of the band's sound. In April, 2007, the band embarked on a six-month world tour in support of Fear of a Blank Planet, one that included Europe, the U.S., Japan, and Australia. The new album was featured, and the show featured the films and projections by the band's long-time visualist Lasse Hoile. Fear of a Blank Planet is already the most critically acclaimed and commercially successful album of the band's career, charting high in most countries (even giving the band their first top-forty album in their home country). Porcupine Tree spent most of 2007 on tour promoting the album, and a new EP Nil Recurring containing material left over from the album-writing sessions was released on the band's own label Transmission in September. The band started recording their tenth studio album? The Incident. ?in February 2009. This was confirmed by the band, posting this message on their official website: "Writing for the next PT studio record is well underway, with the band recently spending two weeks scheduled in the English countryside working on new tracks. Recording of these pieces and a new 35 minute SW song cycle were due to start in February..." A tour was announced on the band's website and MySpace, along with dates, following release of the new album. Around March and April, Wilson commented the 35-minute song kept evolving and now it has become a 55-minute song, occupying the entire disc. 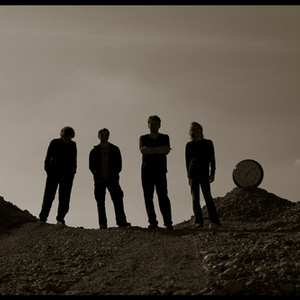 On 20 May 2010, Porcupine Tree released their second live concert film on DVD and Blu-Ray titled Anesthetize, it was recorded live on 15 and 16 October 2008 in the Netherlands at the 013 Tilburg venue. On 17 June, the band announced on their website that a new live album titled Atlanta, recorded during the tour of Fear Of A Blank Planet at the Roxy theatre, Atlanta, on 29 October 2007, would be released in a near future. This album was released via online distribution only, without any class of physical format; all the sale proceeds were donated to Mick Karn for his treatment against cancer.